LF: It's An Emergency You Dumb Communist Bastards! Title: It's An Emergency You Dumb Communist Bastards! Well, you see, in their opinion it's not an emergency. Since the President only needs to declare an emergency for there to be one, Congress is inserting itself into the power of the Executive branch. 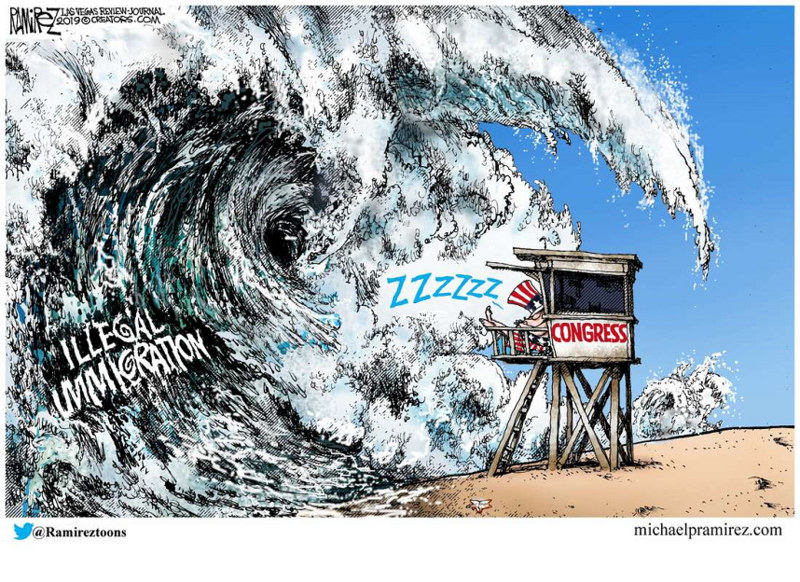 Congress voted down the declaration of a national emergency by saying in their opinion it's unconstitutional. Since only the U.S. Supreme Court can determine constitutionality, Congress is inserting itself into the Judicial branch. But when Trump re-purposes Defense Department money already approved by Congress, Congress claims he's overstepping his authority because it's their job to spend the money. Until an illegal-alien criminal invader rapes or murders a Pelosi, not a damn thing will change. These Democrat-Communists and their pansy allies the Republicrat turncoats have proven that our Constitution will NEVER be allowed to work again! They want Communism? Many of us want capitalism and a very lean central government that at least protects our nation's borders and sovereignty. Put the Constitution in mothballs and pray for a benevolent despot. I share your frustration. Your title, btw, is perfect -- haha-haa! Truth to your logical conclusions. We have been betrayed. We are indeed witnessing the death knell of the USCON and Republic. It's not so surprising that it's happening -- just that it's all happened so rapidly as the patriots on the inside who saw it all happen and could have stopped it...LET it happen. The events of 911 jump-started the entire plan. I would add that it is the Ruling Elites, aka NWO Luciferians, who have plotted and executed this revolution and war on Sovereignty and God since the waning days of WW2. They have used the UN, Dems, the Marxists, the turncoat GOP, the Academe, bogus Science, Hollywood, Music, False Flags, Propaganda, Muzzies & Illegal Third World Invaders and assorted boogiemen as tools and facilitators to overwhelm and destroy ALL Western institutions and Judeo-Christian values. Their 75-Year Game Plan it appears has succeeded earlier than they have predicted. MO: Re-consolidate power into the hands of a few. Reduce the Middle Class dramatically. Dramatically cull the population. Criminalize God. Re-boot and START ALL OVER AGAIN as a ONE-WORLD GUMMINT. GOD WINS. Our soul can't be touched.